Author’s Note: This is my second post in The Adversity Playbook, a series that outlines my lessons learned in dealing with adversity. In my first lesson, I mentioned the importance of opening yourself up to others when you are feeling down or struggling with a heavy burden. I know I make it sound like it’s an easy decision, but I know firsthand how difficult it can be! I fully admit that it took me many years to open up. Looking back, I regret how long I internalized my challenges, yet I can appreciate the difficulty inherent in making the choice. It is only once you have opened yourself up to someone that you can fully appreciate how important other people can be. Adversity is not meant to be fought in isolation. Friends and family members are a tremendous source of comfort, and confiding in them can often lift the burden right off your shoulders. 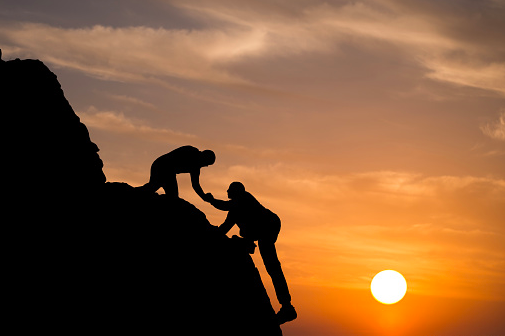 What you will find is that people are thankful that you have opened up to them, and, if they are truly someone you can trust, they are more than willing to help. But there is another group of people who can be just as helpful to you as a family member or a friend. They may not know you, but you certainly know them. They are adversity “role models” – everyday heroes whose stories you come across and that stay with you long after. Often these people leave indelible imprints on your soul, and they become your personal guides as you navigate the rough terrain of life. In the internet age, it is so easy to find stories of other people who have lived with, or are living with, what you are going through. I can Google “muscular dystrophy” and find numerous blogs and articles about people living with muscle weakness, who understand on an intimate level what I’ve felt over the years. They know what it’s like to have dreams crushed, to experience loneliness and isolation, and to adapt to a new way of life. Yet, many of these people have learned how to forge new dreams, and live more meaningful lives than they would have otherwise. In your own situation – whether you are living with a disease, or have experienced depression, failure, or some other form of adversity – the internet can lead you to stories of others who have walked a mile in your shoes. Forums and websites are great for connecting with similar individuals, and are useful in their own right. But what I have found especially valuable is finding specific role models – someone whose story resonates on a deep level. It can be a person specific to your situation, or it can be someone walking in a completely different pair of shoes, overcoming their own form of adversity. You will often find that there are two different types of stories you come across. First, you have the stories that are super upbeat and talk about how inspirational the person is for overcoming their challenge that otherwise should have kept them from being a contributing member of society. You can spot these stories a mile away – I’m sure you know what I’m talking about. They come off as condescending and patronizing, and often make you feel like the person has been exploited. This happens a lot in the disability space. Oftentimes the writer or editor – usually someone unfamiliar with the person’s story going in – does not intentionally try and tell the story in that fashion. But it happens a lot, and quite honestly, stories told in this fashion aren’t all that useful to someone seeking a role model. The second type of story – authentic storytelling – is the kind that will be most beneficial to you. I’m talking about stories that tell the good and the bad, and hold nothing back. These are usually either long-form feature pieces (in written or video form) that chronicle the subject’s journey, or are written/recorded from a first-person perspective. Personally, I want to know how the person has struggled, because when they ultimately triumph, or come to a level of peace with their situation, it feels authentic, rather than artificial. You fully contextualize their journey, and understand the steps that got them to that point. Authenticity is crucial. You don’t want to read something and feel manipulated, or feel like the story is being used in a way to achieve some commercial gain or serve an ulterior motive. Authenticity is the driving force of this website – if I am going to put my story out there to the world, I want people to understand how it really is. I may overcome challenges, but there are days where life gets the best of me. The day I am not portraying my disease in an honest light is the day I should stop writing on here altogether. Our role models allow us to see that we are not alone in anything we face. It is necessary for us to find others who have made it through the dark times, and it is important to learn how they did it. Adversity happens to everyone, although we handle it in different ways. In the disease realm, where I live and operate, I often seek inspiration from people with all sorts of diseases outside of muscular dystrophy, simply because there is so much to learn from their circumstances that I can then use in my own life. When you come across a story that resonates with you, I encourage you to read it or watch it more than once, in order to let the lessons sink in and internalize certain situations the person experienced. Save the story onto your computer or phone for when you need inspiration. Take notes if you have to. I firmly believe every story has a unique learning. I’ve internalized countless tips, quotes and mantras based on what others have been through. It is knowledge you can’t learn in a classroom or a how-to book. Personally, I have several role models who have taught me a great deal about life and allowed me to see a future beyond my disease. Some are strangers, others are close friends and family. Now, for the homework. (You didn’t think I would assign homework, did you?) There are many inspiring stories I will share in the coming months, but for right now, I encourage you to check out a documentary called Life According to Sam, which originally aired on HBO and can be viewed on iTunes and Netflix. 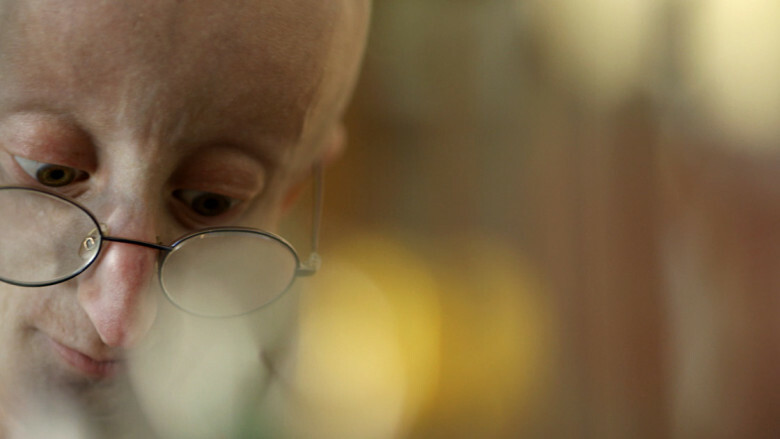 Sam Berns was a 17 year old young man with progeria (a disease where the body rapidly ages) who lived right outside of Boston, not far from where I lived for twelve years. Although he only lived to be 17, he packed more wisdom into his life than most adults. I distinctly remember sitting at home one snowy February day in 2014, miserable. Looking for inspiration, I decided to watch his documentary. I was vaguely familiar with his story from an obituary that ran a few weeks prior (he passed away in January 2014). His story was exactly what I needed to hear at that moment. Sam knew all along that his odds for a long life were slim, but he remained adamant about packing every activity into his life that was humanly possible, including drumming in his high school marching band. The drum and harness weighed almost as much as he did! But he found a way. He always found a way. The best part of the documentary is that Sam, in talking to the camera, faced his mortality head on. He explicitly stated that he didn’t want the viewer to feel pity for him. The viewer wasn’t watching a pity party, they were merely meeting an average teenager, in an extraordinary situation, trying to live an average life. Nothing more, nothing less. Of course, whether he wanted to admit it or not, he was brave and wise beyond his years. My faith has sustained me during the dark times, but there is no question that everyday people have also played an integral role in keeping me afloat. They always seem to enter my life at just the right time. Every day brings a new challenge, but also, new role models. I am eternally grateful to these heroes of mine, some of whom I will never have the chance to meet, yet feel like I’ve known my whole life.